The NUS wants you to boycott the NSS. Lets boycott them instead, and not harm our universities. 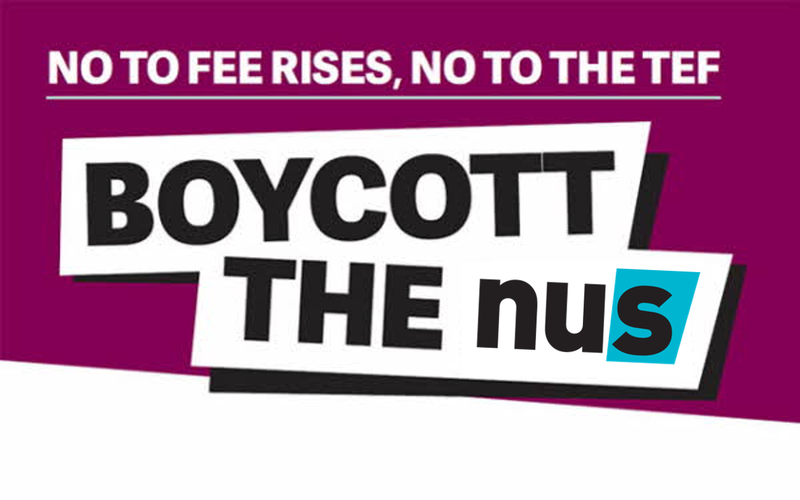 The NUS, in their wisdom, want us to boycott the National Student Survey (NSS). The NSS helps universities work out where they can improve, contributes to league tables and helps prospective students make their mind up on which uni they should go to. The NUS doesn't care about any of this. They think that the government will use it to justify raising fees and believe that if we boycott it the government will change its mind and reverse plans to put up fees. Seems ridiculous? That's because it is. It's a pathetic attempt by the NUS to stand up for students, a weak cop-out that means they can pretend to be doing something when really there is no substance to their opposition to fee rises. There is no evidence that boycotting the NSS will do any good whatsoever. In fact, it will most likely do more harm to students than good. How can universities improve if we're not telling them what they need to do better? This is a weak attempt at standing up for students from the NUS. Their hearts may be in the right place (though I'm skeptical), but their heads certainly aren't. We need strong, solid and coherent opposition to government plans to increase tuition fees - not this half hearted attempt. The NUS does provide a useful way you can contact your MP to protest the increase (here). But they should be doing a lot more given the amounts of money our student unions pay to them. Some SUs, including at the University of York, are holding referendums to decide whether or not to boycott the NSS. As it stands just 23 unions are participating in the boycott. If your union is holding a referendum, I urge you to vote against the NUS' plans. Rather than helping students, the NUS will be hurting them. A mass boycott from your university may devalue your degree, lead to your uni falling in the league tables and prevent positive change. Once again, the NUS is proving itself useless when it comes to representing the voices of students. We don't elect the NUS leaders, but we can choose to ignore their useless ideas. Don't believe the NUS, boycotting the NSS will do more harm than good. Final year undergrad students can take the NSS here.